If you follow me on social media, you saw that last weekend I announced that I'm PREGNANT! Ben and I are expecting our second baby in September and we are SO excited! Sorry it took me a week to get this blog post up... I actually started writing it last Sunday and...well, here we are! I'm pulling the #momlife card. ;) Going forward, I will have a new pregnancy post up every Monday for Mommy Monday, starting this Monday with my 12 week update! 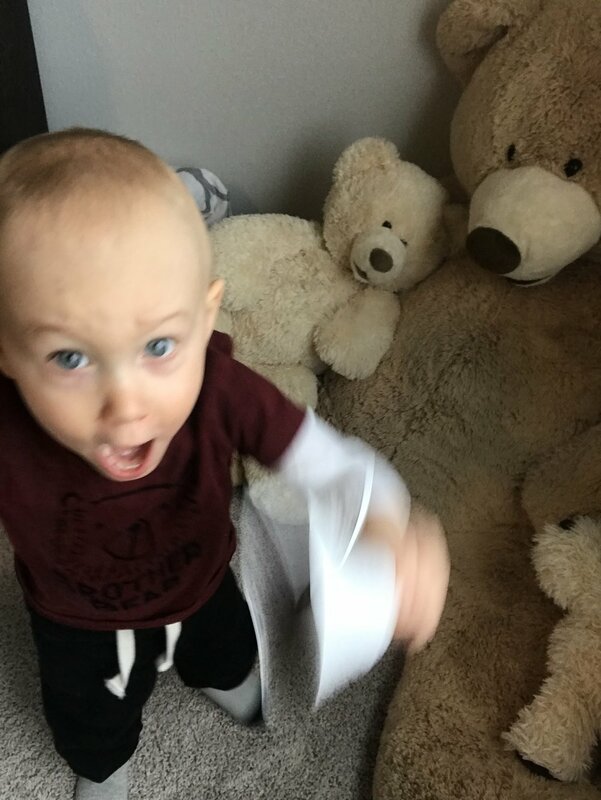 We met with doctors and specialists this past fall to discuss our fears and concerns regarding trying for a second baby (if you aren't familiar with my story, I had a somewhat scary/stressful pregnancy with my first son, James). We felt confident after our talks - and after LOTS of deep thought and prayer - and felt like it was the right time to start trying. We both really want one more child, and our conversations with the doctors really helped to put our minds at ease. Read more about our thought process/concerns/conversations with doctors here in this blog post. Anyways, once again we got pregnant right away! With James it was *literally* our first try, and with this one it was within a month. 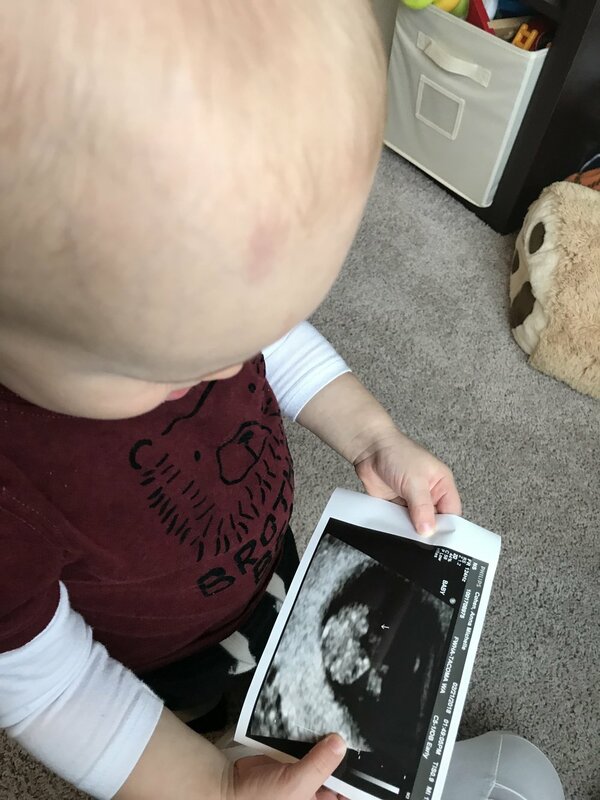 We feel so blessed and we were (are) SO excited! When I first took the pregnancy test and got the positive result, Ben wasn't home from work yet and I had just put James to bed. When I saw the two pink lines, I instantly fell on my knees and started sobbing. I prayed so hard and told God that I was SCARED - but so thankful. I know he has a plan for this baby and for our family, and I know that His hand will be on this pregnancy just as it was with James'. After I spent some time crying and praying, I felt SO overwhelmed with peace and joy and the strongest sense that everything would be ok, no matter what happens, no matter what this crazy journey has in store for us...we'll be ok. I told Ben when he got home from work and he was shocked but super happy and excited. He instantly wanted to tell everyone and we did tell all of our parents that night. I'm pretty sure he ended up telling all of his coworkers/siblings/etc... within a week or two. haha For some reason this time around was much harder to keep a secret. We just wanted to tell everyone right away. We ended up publicly announcing last Saturday when I was 11 weeks, which is slightly early. But we figured even if something ended up happening, we would want the love and support of our friends and family, and I would probably blog about it and share about it on social media anyways because that is like therapy and such a great outlet for me. So, here we are! We had our first ultrasound at eight weeks and saw and heard the baby's heartbeat. It was so special. It was like a dream, reminding me so much of when we first saw and heard our little James. But this time feels so incredibly different as well. I nearly had an anxiety attack as Ben and I waited in the room for the ultrasound. It just brought back so many memories of all of those weekly ultrasounds, checking my cervix, holding my breath, praying desperately that they wouldn't see a change in my cervix and that our James would be safe. My last pregnancy and labor and delivery definitely changed me. It changed my entire perception of this process. But, while I am so much more aware of just how much can go wrong during a pregnancy, I feel such an incredible peace that it will all work out and that I will be able to handle anything that comes my way. My fatigue hasn't been as bad this pregnancy as it was during my first trimester with James. Maybe it's because I have a toddler now and I just couldn't possibly give in to being exhausted because...well, it's just not possible to nap and lay around all day when you have a one and a half year old. My morning sickness started around six weeks and lasted until around ten weeks. Which is much shorter than it was with my first pregnancy, and my nausea definitely was not nearly as bad this time. Now I don't have any morning sickness *knock on wood* and I'm hoping it stays away the rest of this pregnancy! I will give more detailed updates in my 12 week post on monday! This is just a quick little intro to pregnancy number two! I'm not sure what I've gotten myself into by getting pregnant again and by signing up for two kids under three years old, but I'm sure that whatever is in store is going to be beautiful, wonderful, and perfect in it's own way and I am so thankful for this blessing and for getting to experience pregnancy again! I almost can't even believe that we're going to have another little one running around soon... it's too good to be true! James is going to be the BEST big brother! It's going to be so much fun! Thank you for following along on this new adventure! As always, your thoughts, prayers, well-wishes, and good vibes are MUCH appreciated! And if you have any questions please don't ever hesitate to reach out either in the comments or through e-mail!